I am sitting at my husband’s computer this evening. It is always different trying to blog from Don’s computer. None of my photos are stored here. Yes, I could bring a disk down but it really is more fun to look through Don’s photos and post them. So here are a few of Don’s photos from the past year. 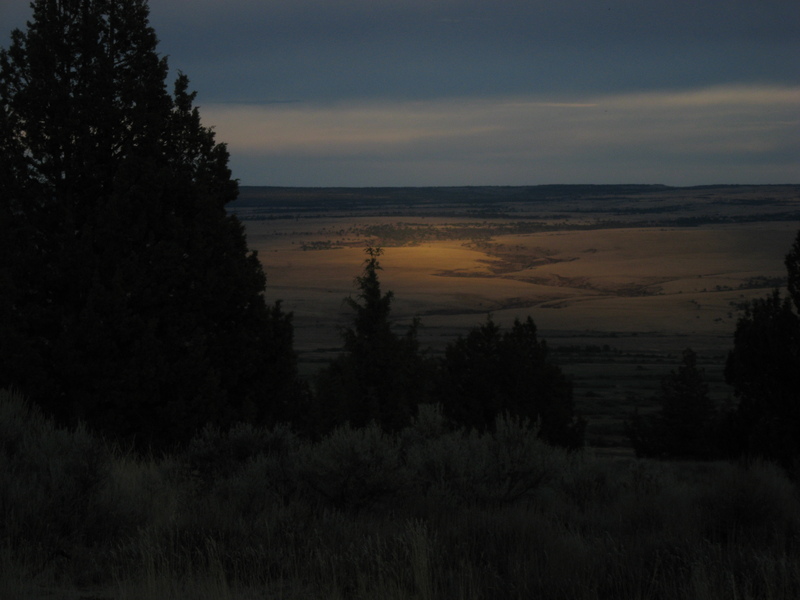 A view of Steens Mountain in October. This is from the French Glen side. In the middle of a storm, sunlight. 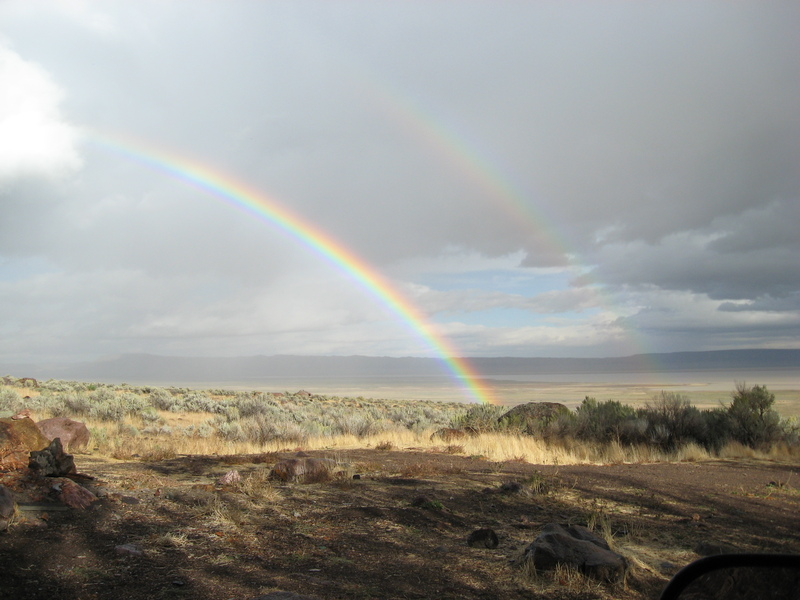 After the storm, a double rainbow over the desert. 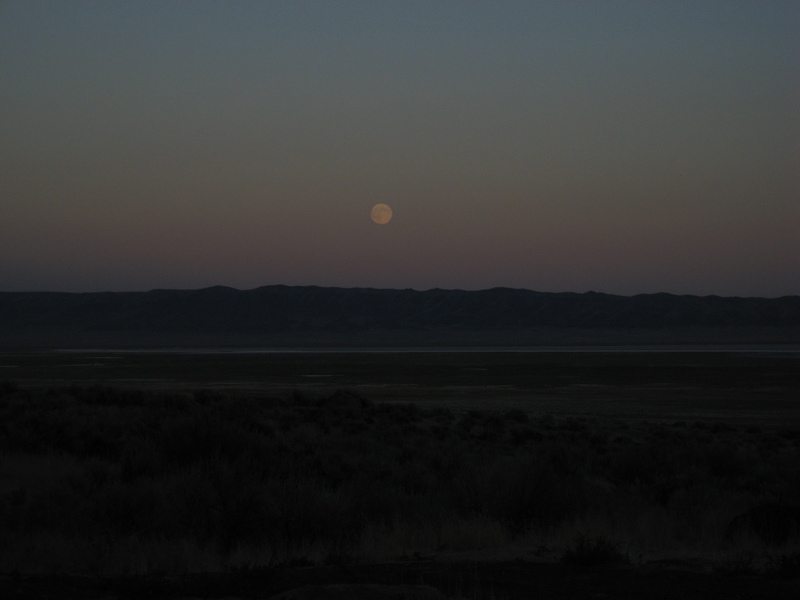 Full Hunter’s Moon over the Alvord Desert. 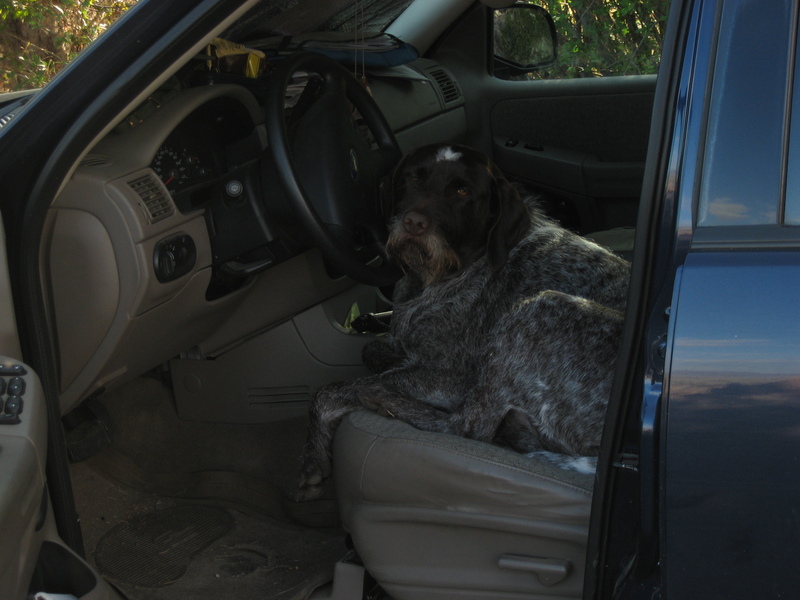 Not sure if Murphy is just one very tired bird dog or if he’s just ready to drive home. 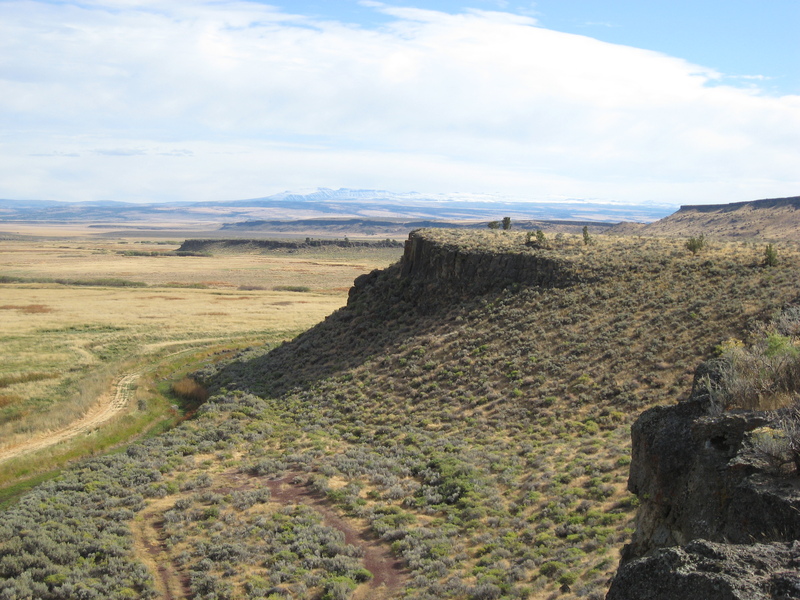 Closer to home: the Cascades. 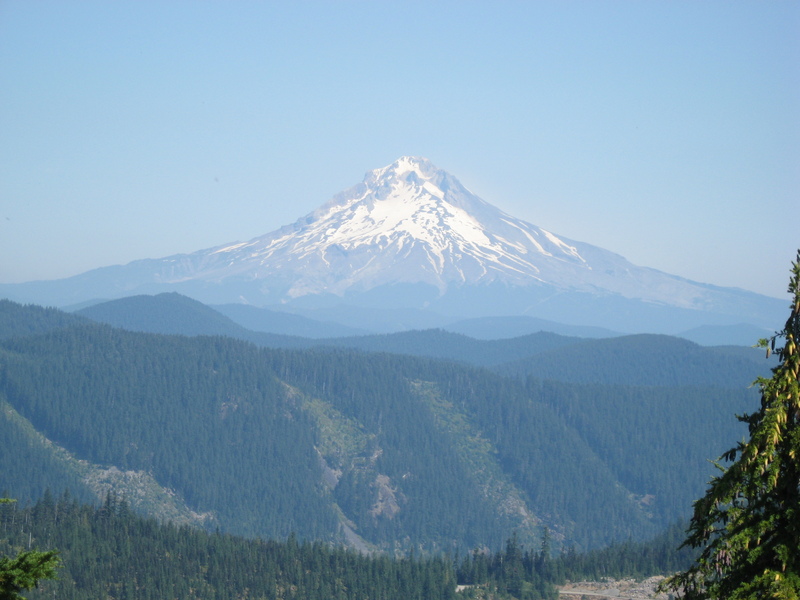 Ridge upon ridge rising to Mount Hood. And on a lighter note, Don likes to take strange photos. 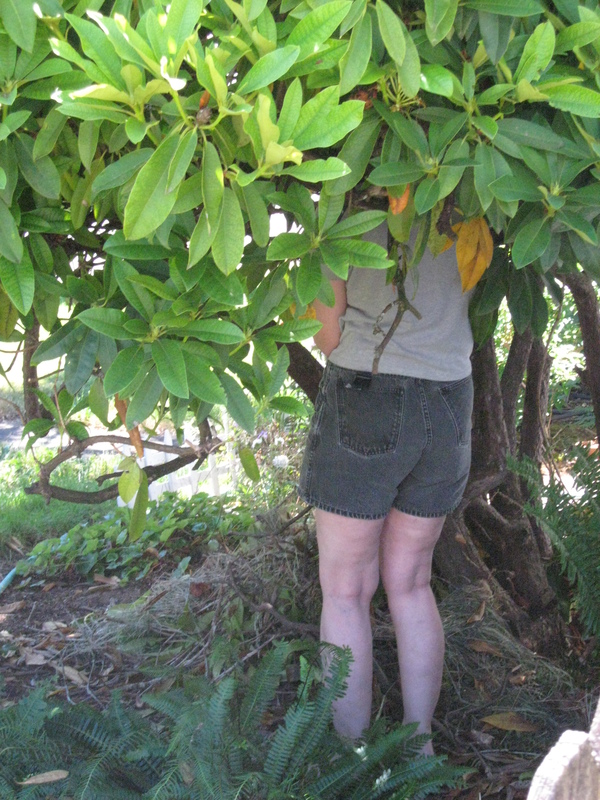 Like this one of me pruning the underside of the rhododendron out front. This is the mind of my husband. Cute legs! Don’s photos are always a treat. Thanks for sharing them.